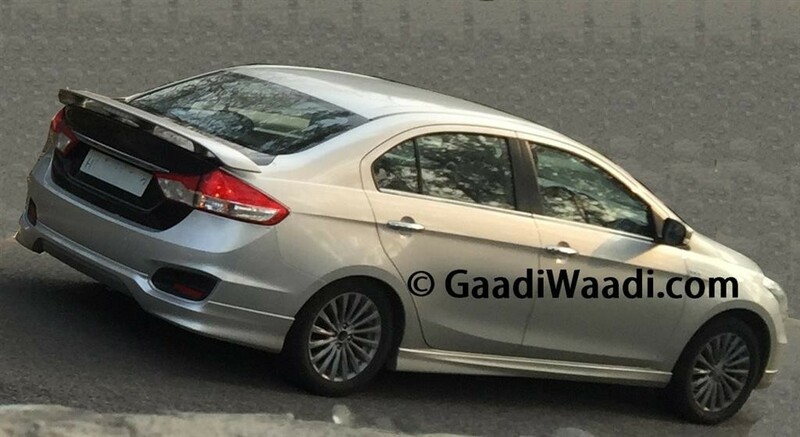 In what seems to be a very futuristic move by a very conservative auto maker, Maruti Suzuki has decided to launch the Ciaz Hybrid in the country. 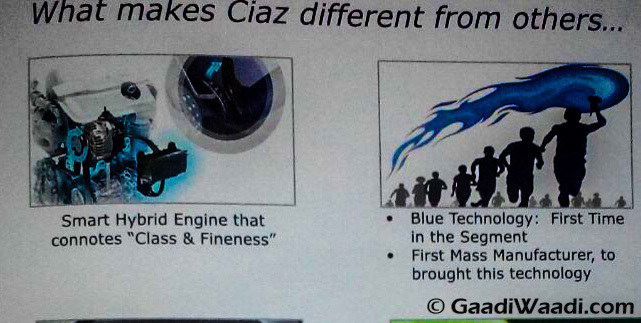 The Ciaz Hybrid will be named as the Ciaz SHVS, Smart Hybrid Vehicle System which, although not a typical hybrid, will still result in higher efficiency and lesser emissions from the exhaust. It has an Integrated Starter Generator which will assist the engine by sending power to the wheels under acceleration input. Similarly, when you brake the energy is sent back to the battery to be stored. The battery is three timer larger than normal. This will be accompanied by a Start/Stop system which will turn off the engine at signal and turn it ON again once the user engages the clutch. Combined with the excellent Fiat sourced Multijet engine, the economy figures of the car might as well reach 30 kmpl. The Ciaz Diesel currently boasts of 26 kmpl. We expect the price of the Ciaz Hybrid to be priced with a premium of INR 50 k over the present top-end variant.